What use are land records? Land records are a much-neglected resource in family history. 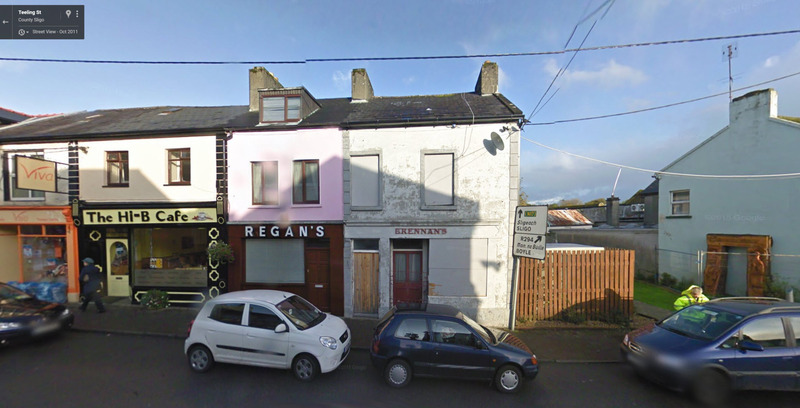 Land and property is an important part of most people’s lives, whether they are paying off the mortgage on the house they live in, or rent business premises, or own farmland. Land records can tell us much about our ancestors’ ownership of, and attitude to, their land and property; they can tell us about the history of a house or piece of land; they can tell us who owned the land before or after our ancestors did, or who they rented it from. Land records can help to fill in the details of an ancestor’s life that make him or her seem more like a real person than a file of birth, death and marriage certificates. Why look for land records? Land records can tell us much about the financial standing of our ancestors. Purchases, mortgages and sales of property reflect the fortunes of the landowner, whether it was farmland, investment property such as houses or business premises. An initial investigation of my grandfather, Richard Eason, a farmer and grazier in the Central West of NSW, showed that he started off with very little land and a mortgage to the Bank of New South Wales (now Westpac) in the early 1920s before he married, and later sold many parcels of land in the 1950s before moving to another town, indicating the increasing prosperity of the family. His father, John Eason, owned one small neglected farm when he died in 1933 according to his Deceased Estate File (for the calculation of death duties) but a search of the land records showed he owned many parcels of land over his lifetime. Land records can also show us the history of a house or property as nothing else can. Who built the house, who owned it before our ancestor did, who bought it afterwards, who built the extension, when was the sewage connected, what did it look like, how was it furnished – these questions may be able to be answered by searching for relevant records. The signature of our ancestors may appear on some documents, and some may have been wholly hand-written by the ancestor. What do we mean by land records? Land records are those created for the recording of land transactions – grants, purchases and leases, and sales, including mortgages and transfers. These records are generally kept by the Land Titles Office, now the Department of Lands, although some have now been handed over the State Records NSW. 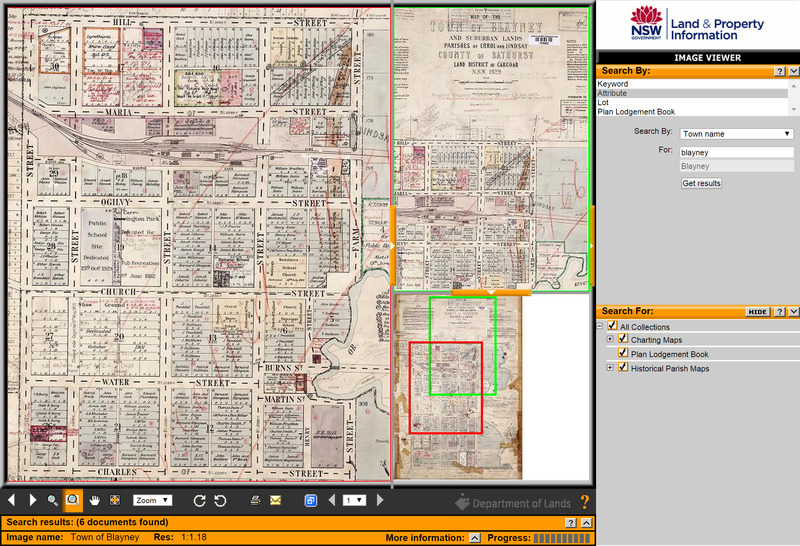 Old System land transactions and Torrens Title deeds show purchases, mortgages, transfers and sales, often with maps and diagrams. 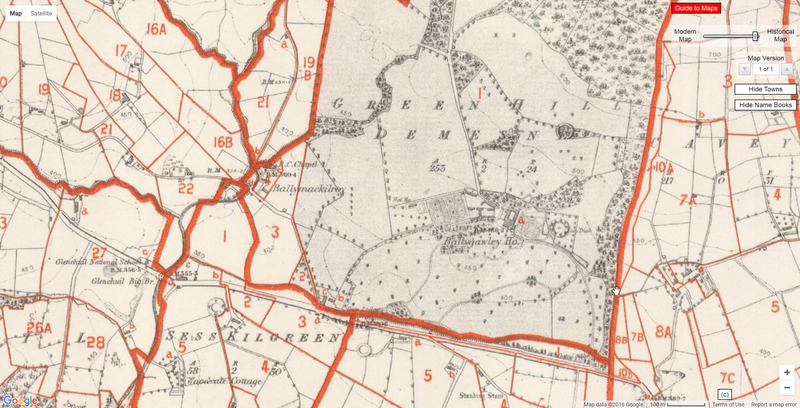 Parish maps show the name of the original purchaser or grantee of the land and that of the neighbours. Primary applications to change Old System land over to Torrens Title can contain much information about the family where proof was required of transfer of ownership. Conditional purchase files may contain the original request for the land. There are many different types of records that cannot be covered here. Although some of these records, such as primary applications and conditional purchases, have now been archived with State Records NSW they can only be identified using Land Titles Office reference numbers, so a search must always begin at the Department of Lands. What other records are there? Related records were created by other government bodies, and are mostly now kept by State Records NSW. Deceased Estate files relate to the administration of death duties, which were payable from 1880 to 1958, and may contain certificates of Valuation of Property, schedules of furniture and other assets, and balance sheets of businesses. Local government records include development and building applications, rate and valuation records, and maps and plans showing water distribution, sewage and the location of public amenities such as schools, parks and shops. Land records are time-consuming to find but can be of inestimable value in filling out our family history and knowledge of our ancestors. In a later blog I will discuss how to go about finding these records. 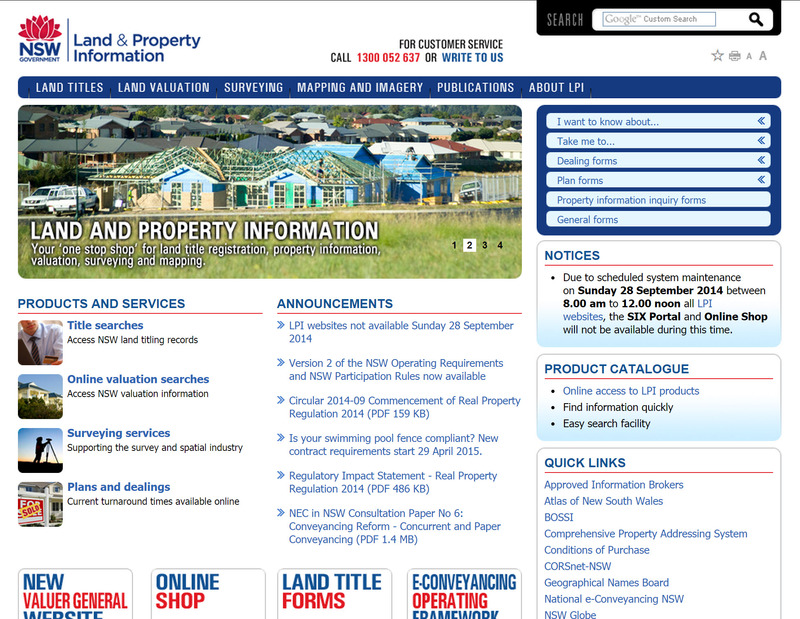 Land and Property Information NSW. A Guide to Searching New South Wales Land Title Records in the Queens Square Office of LPI NSW, March 2002 Edition. Sydney: Department of Information Technology and Management, 2002. Regan, Des, and Press, Kate. How to Trace the History of Your House. Ringwood, Victoria: Penguin, 1990. State Records New South Wales. Archives in Brief 29, 93, 106, 108Â and 109. Sydney: State Records NSW, 2006.